I am continually looking for good deals - and ways to update my closet on a budget. 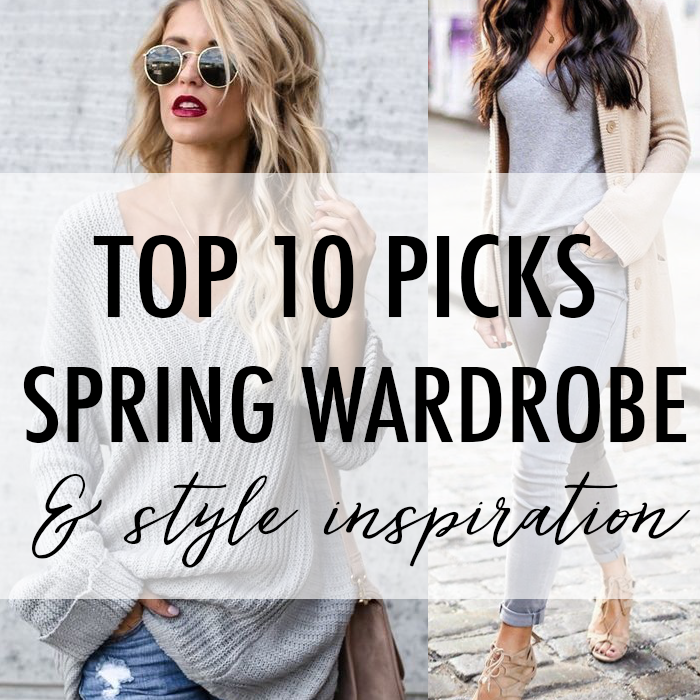 Here are a few more of my spring picks. And, I love this cool grey for spring mixed with a beige. You could re-create the looks with this grey v-neck (only $25) and this $20 long beige cardigan. This fuzzy shearling sweatshirt is only $35. I kind of like this ruffle trimmed denim jacket. A spring ruffled gingham sundress. I live in tanks during the summer like this one. This polka dot peplum top would be great for a fun party or possibly work. I like the colors of these twist hem tees. This faux leather draped jacket is 50% off. This is the cutest floral dress and would look cute with these $25 suede loafers. This sweater is on sale for under $20. A classic spring coat - in several colors. These wedge espadrilles are over 60% off and under $60! LOFT is having another Flash Sale this weekend with 40% off! There is also an additional 50% off sale items - like this cardigan that is only $18! 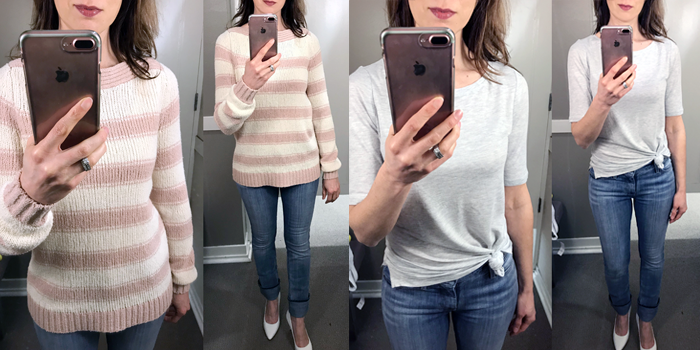 Just in case you missed it - I shared 15 spring items HERE. My favorite is the polka dot peplum top! It looks so rich and well made I cannot believe it's from F21! Wow I love your posts!! I keep noticing (and LOVING) your pointed toe white pumps...love how they look with jeans. Can you mention a link for them? Thanks so much! These are my favorite brand/style of pumps - I just got them in a couple of colors! Super comfy. They are Nine West - I added the link to this page.